With Christmas done and dusted you may well be looking for amazing Gold Coast accommodation specials for your next vacation. The secret is to look online. When you take a look at the destination, it’s no surprise that Gold Coast accommodation specials and deals are popular with everyone. Whether you’re planning a family holiday or a romantic weekend away, you’re sure to find exactly what you want at a great price. What makes these deals even more amazing is the gorgeous Gold Coast climate. It’s like summer all year round so really can grab a deal at any time of year. In fact, resorts like the Phoenician offer amazing long stay accommodation deals. Winter is cheaper for sure but you’ll still have lovely weather and access to all the great facilities and attractions. Nothing really stops on the Gold Coast. If you are going to take a winter vacation, however, choose a resort like the Phoenician that also offers a heated swimming pool. If you can’t wait until winter for your well-earned break, don’t worry; you can still grab great accommodation deals online. For example, choose a courtyard or garden view apartment at the Phoenician and they’ll take 15% off the price. That’s 15% off during the summer! That’s pretty hard to beat. 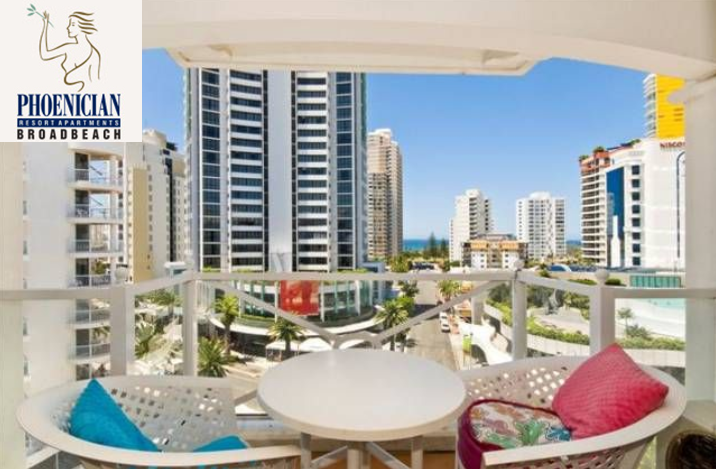 Gold Coast accommodation specials in Broadbeach really are the best. There’s the lovely Kurrawa Beach, foreshore and park, as well as the Gold Coast’s most famous restaurant strip. There are a major shopping centre and movie complex, as well as the impressive Jupiters Casino. Broadbeach still gives you easy access to all those other great Gold attractions, including the theme parks, surf beaches and lush hinterland. Not to mention the world-class events and entertainment. So what are you waiting for? Jump online and find those fantastic Gold Coast accommodation specials and deals today.